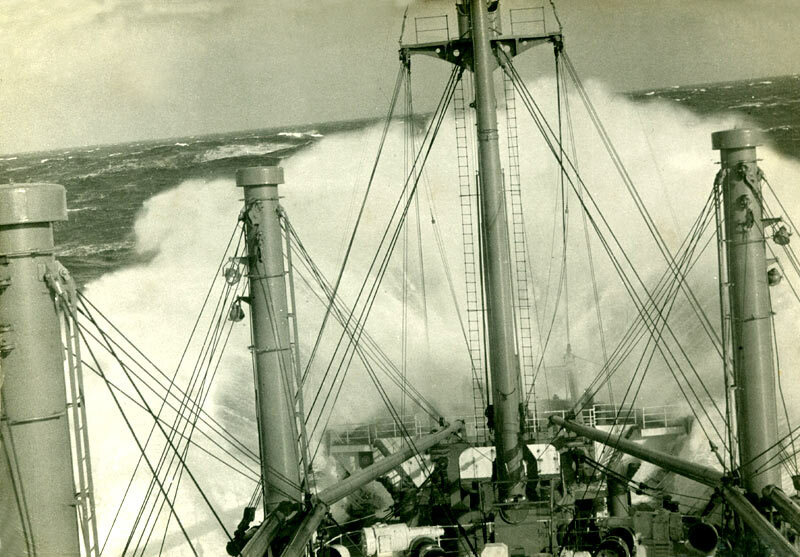 "H" Boat in heavy weather!! 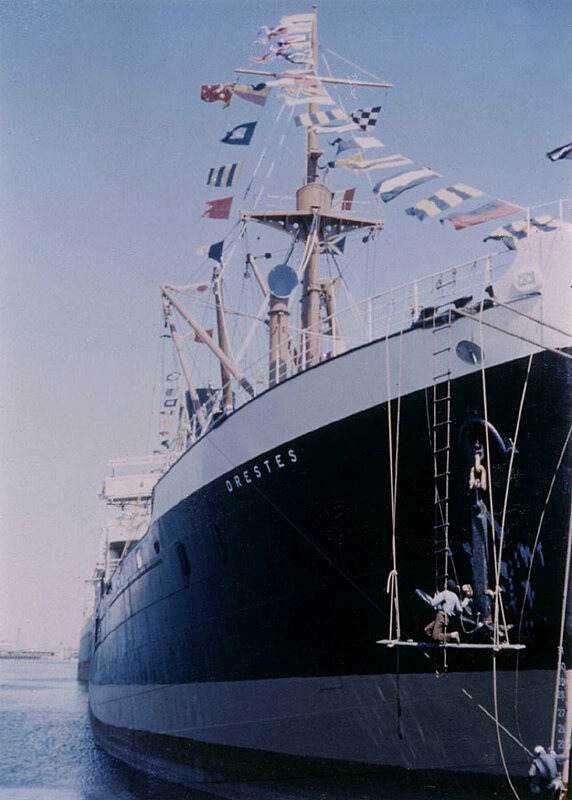 Three fine photographs of the Orestes at Sydney, Australia. 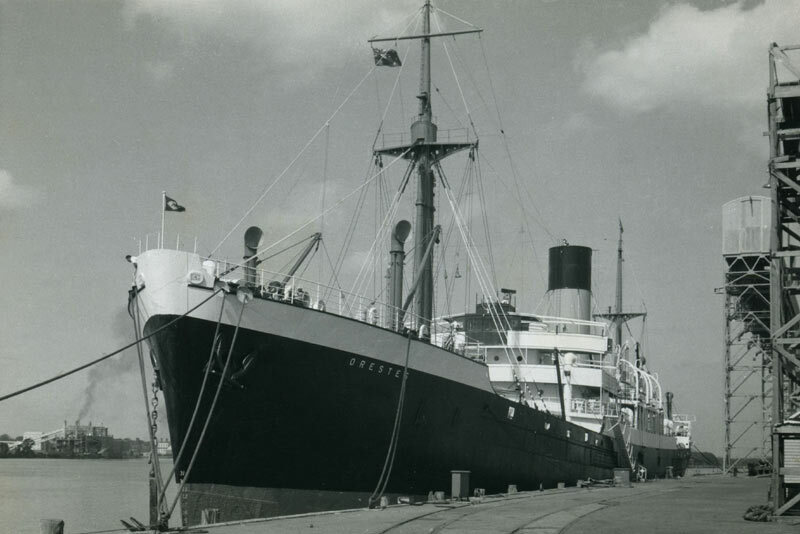 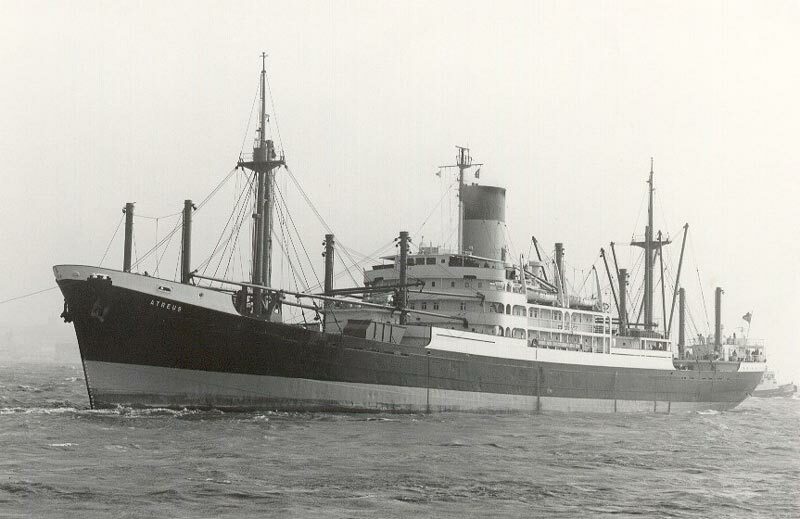 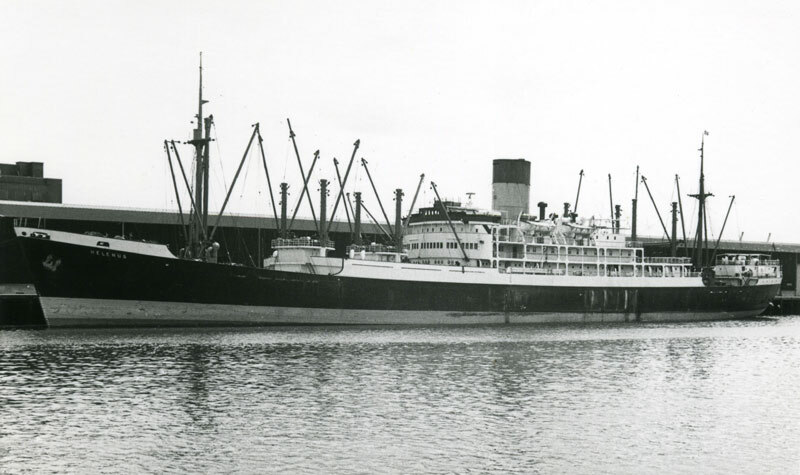 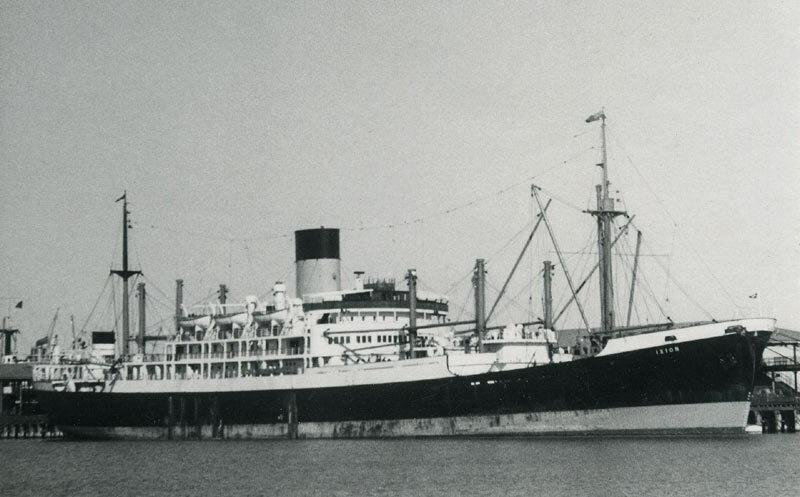 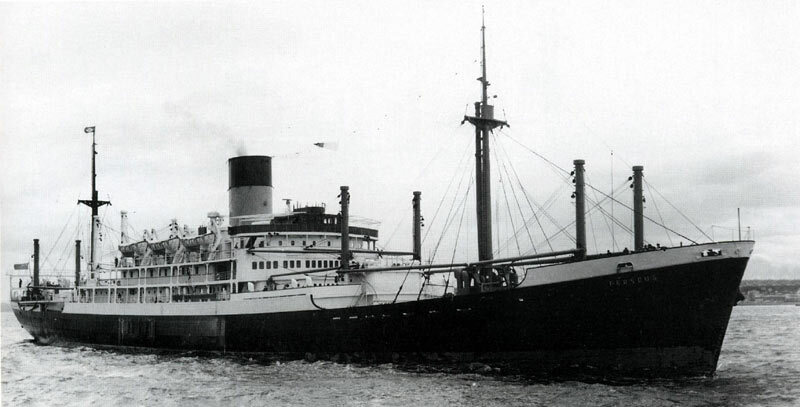 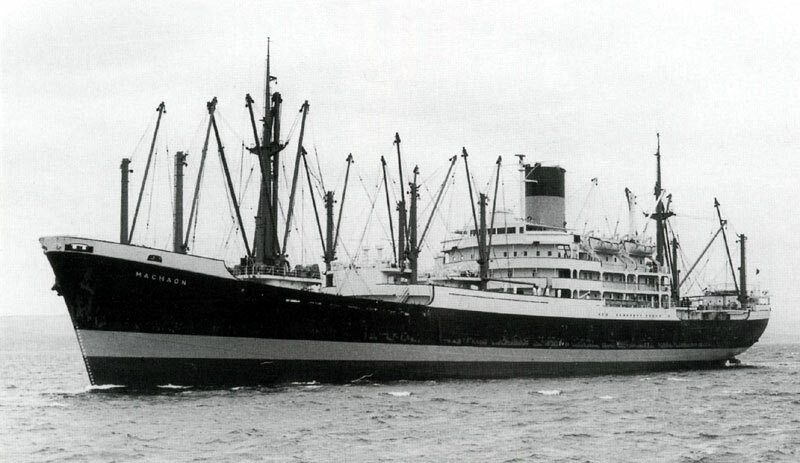 The new "Menelaus" on sea trials in 1957. 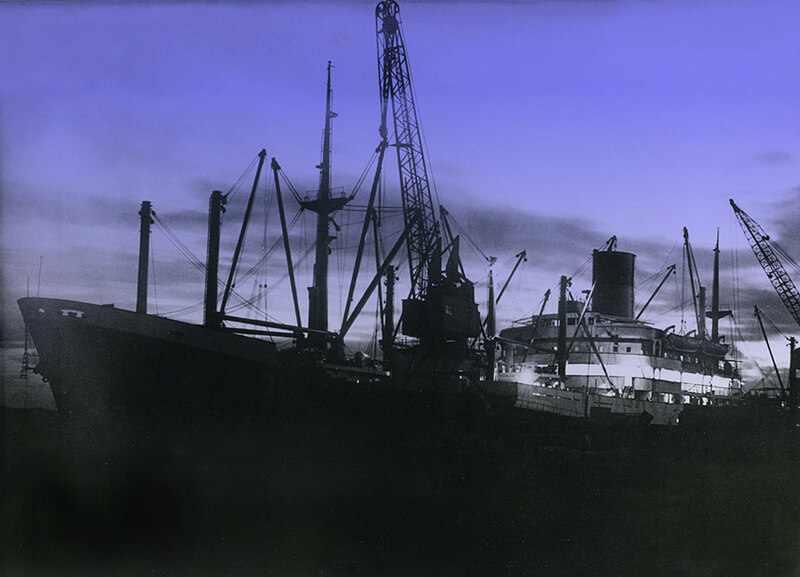 "M" boat in Dry-dock at Dundee, Scotland. 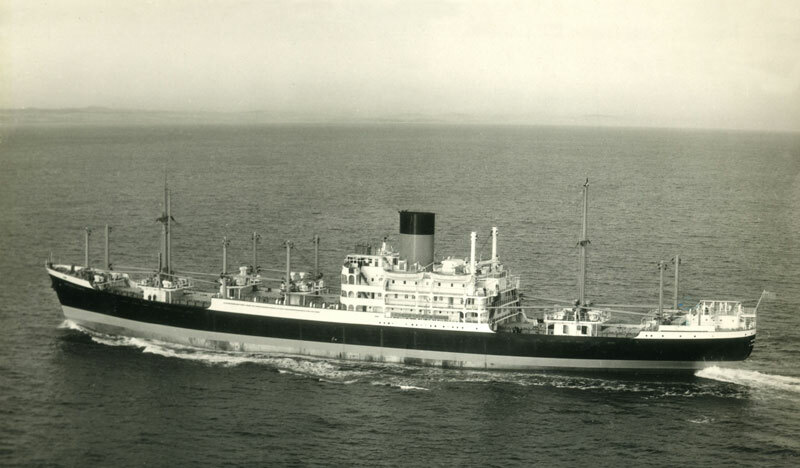 Captain Gwilym Owen, an ex Blue Funnel master, lent me these photographs. 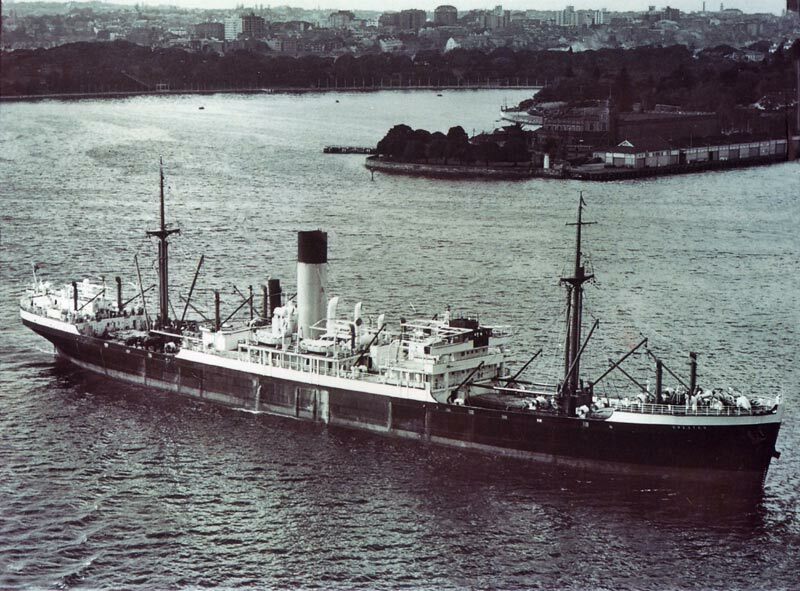 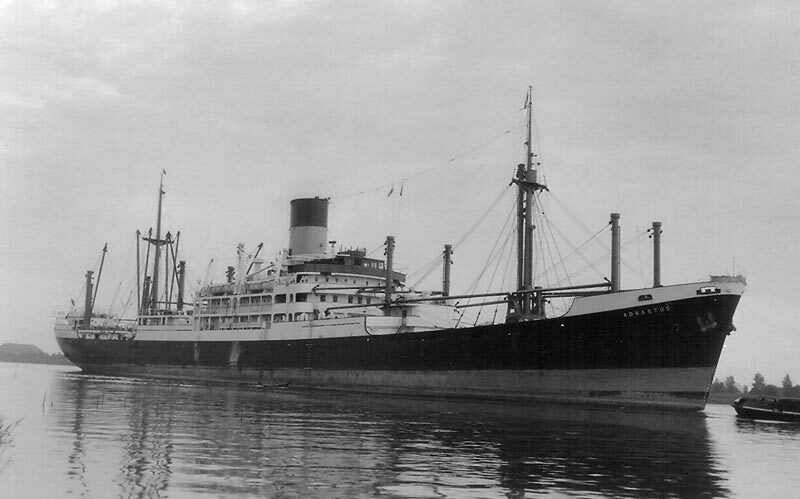 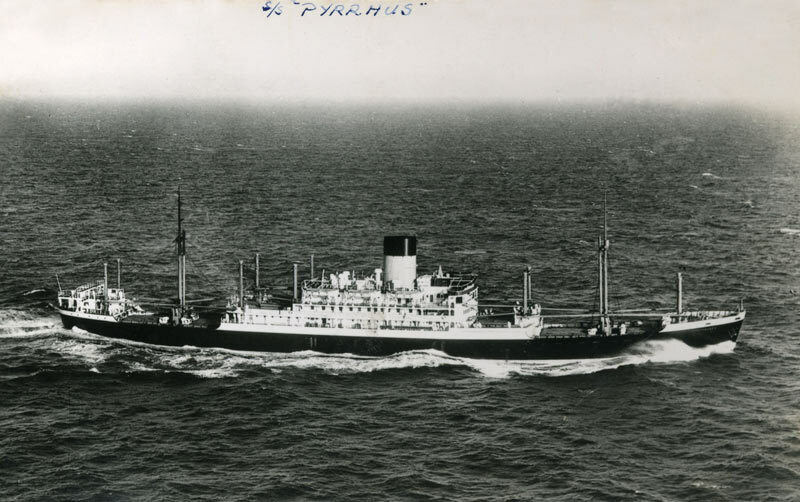 The “Priam” photograph from his collection shows her flying down the Malacca Straits to her first Far Eastern port of call, Singapore. 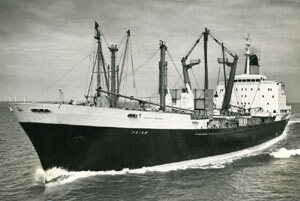 She could manage 23knots on a good day, that’s some speed for a cargo ship built in the mid sixties. 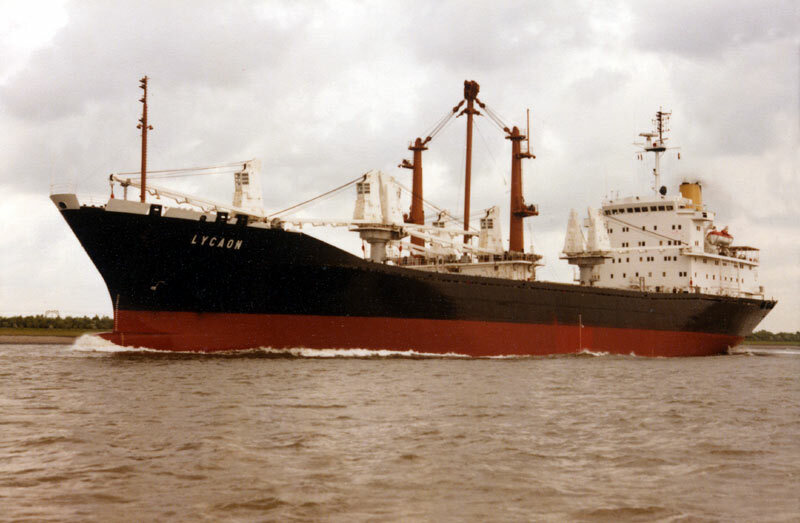 I sailed with him on the Priam in 1970, we left Birkenhead on the 10th of November, and went non stop to Singapore, older Blue Funnel vessels had to stop for bunkers at either Cape Town or Durban, and we were still back in Liverpool within three months, on the 8th of February 1971, having visited nine ports including three in Japan, and that’s including a two weeks stint on a buoy in the middle of Hong Kong harbour awaiting cargo. 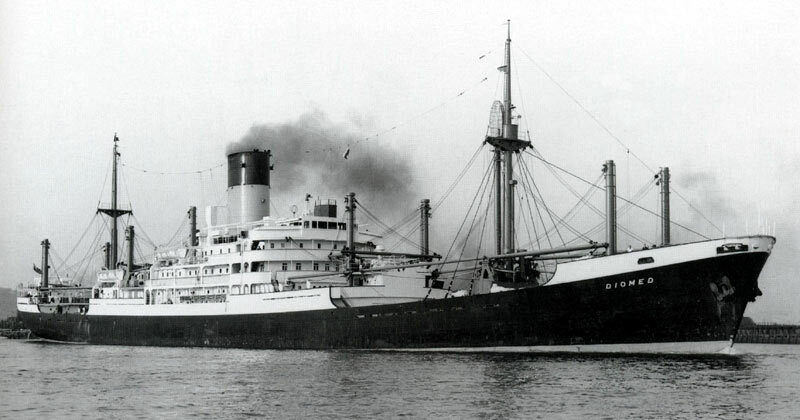 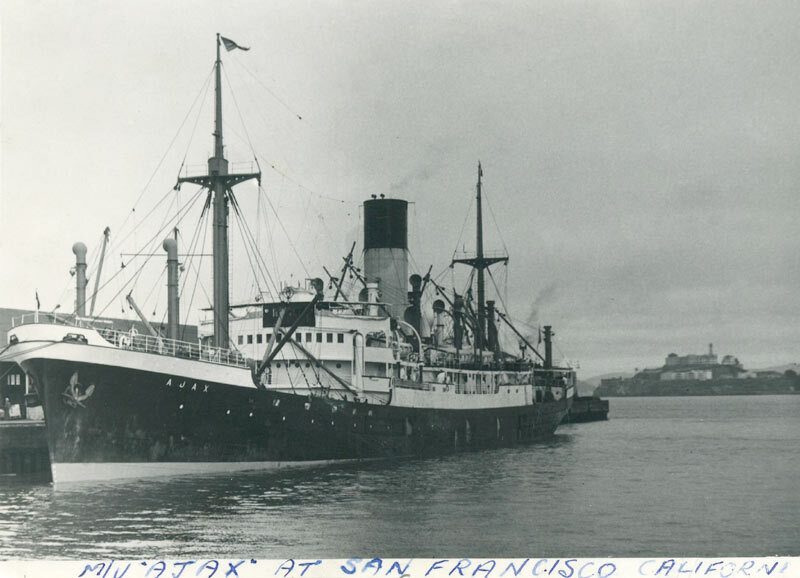 She was a fine ship, and at the time the “Super P’s” were the pride of the fleet, and quite understandable as well when you look at Priam’s fine lines in this photograph. 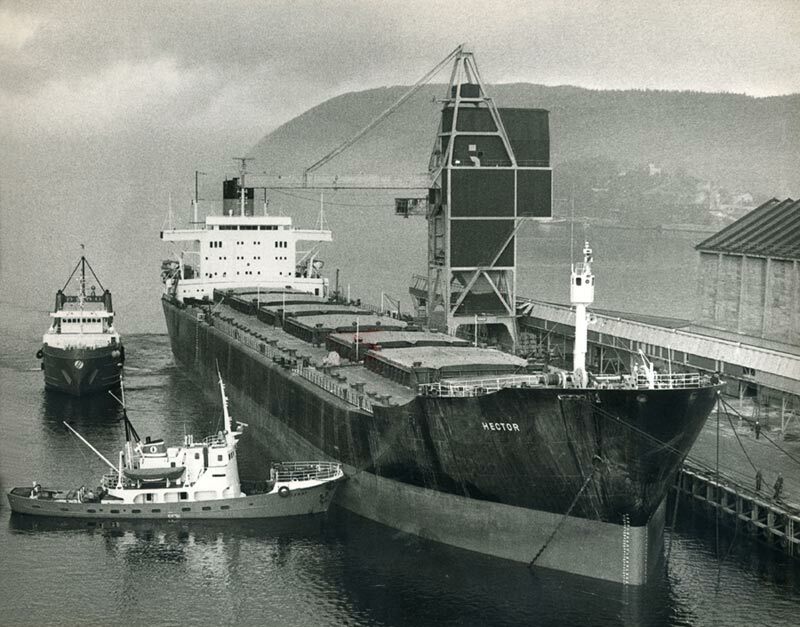 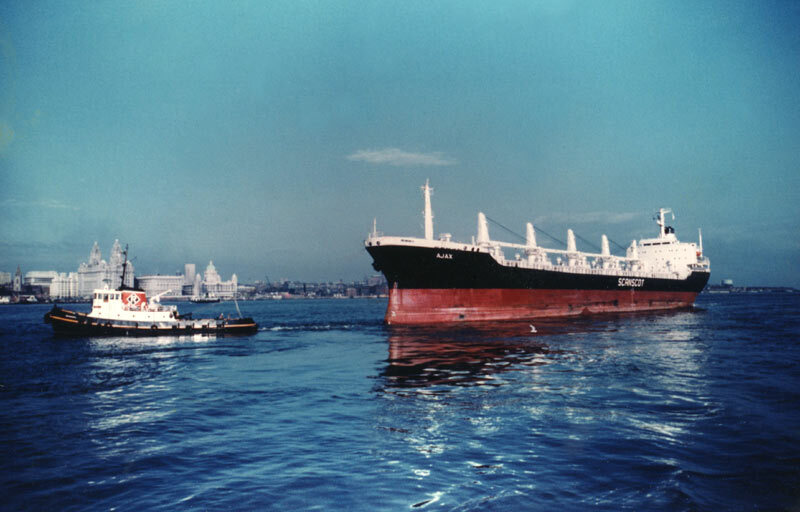 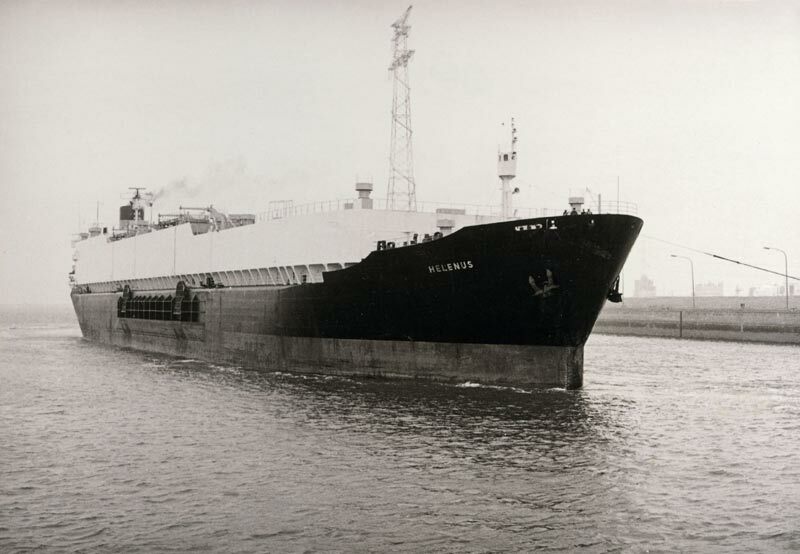 The Priam met a sad end though, when as the “Oriental Champion” she was hit by a missile in the Persian Gulf, on October 18th 1985, and was later towed to Kaohsiung for demolition. 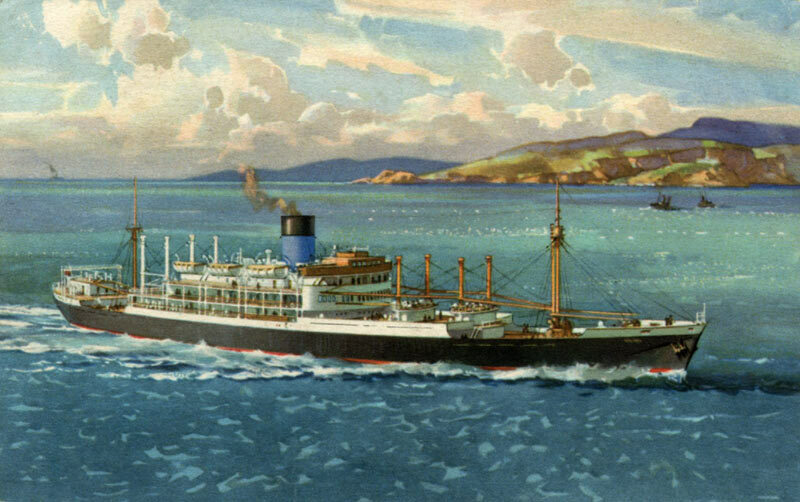 Capt Owen went away to sea as deck boy in 1946, but now lives in happy retirement in one of the villages of Llyn. 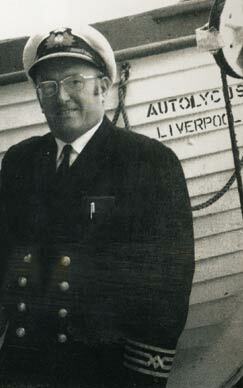 Capt Gwilym Owen Retired Blue Funnel, Master Mariner. 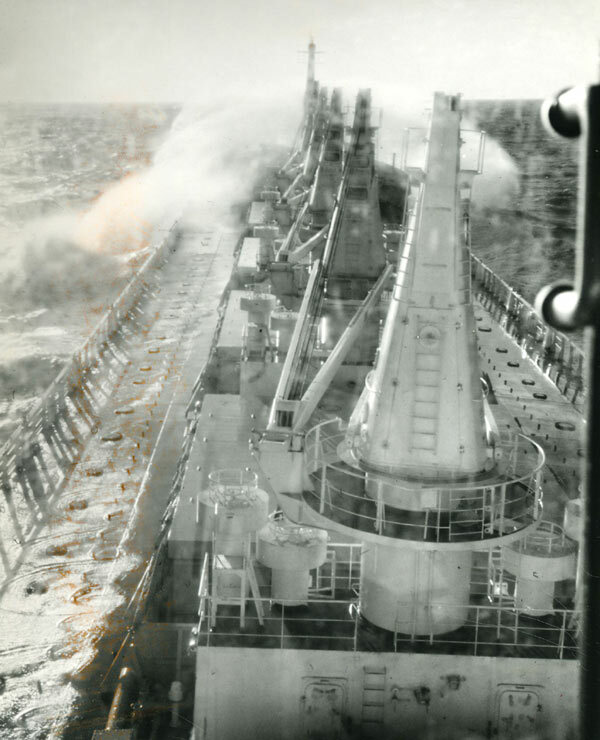 Many thanks to Capt Owen, for lending us all these brilliant Photographs.